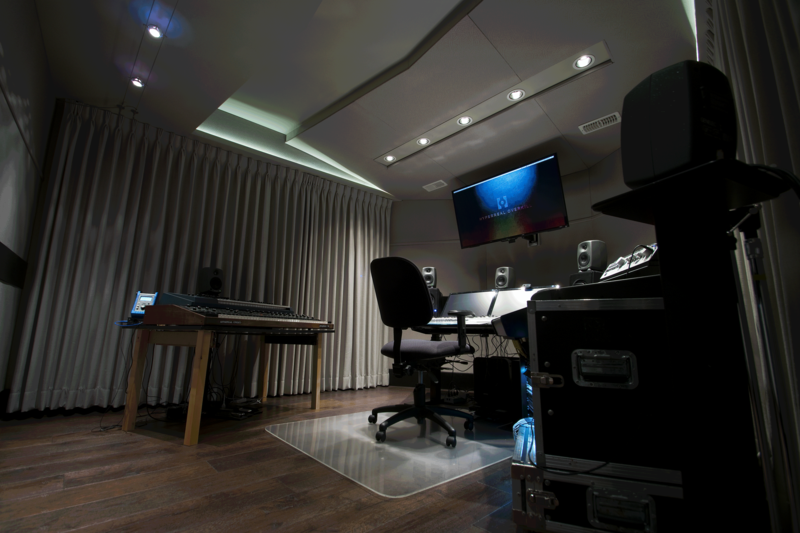 Hyperreal Overkill | Pilchner Schoustal International Inc. 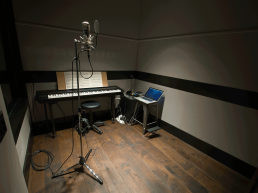 This project is a private residence renovation that was constructed by the studio’s owner Peter Hodson. 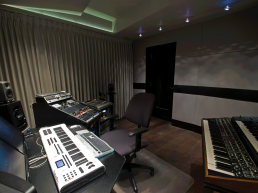 He enlisted the services of Pilchner Schoustal Inc. for design and consultancy of his space. 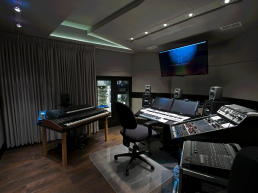 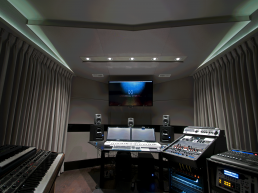 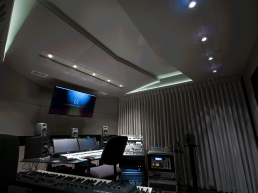 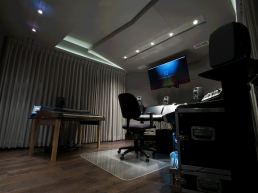 Due to the small existing area, a lot of time was spent on configuring the design to accommodate a 5.1 surround sound control room as well as a small live room and sound lock. 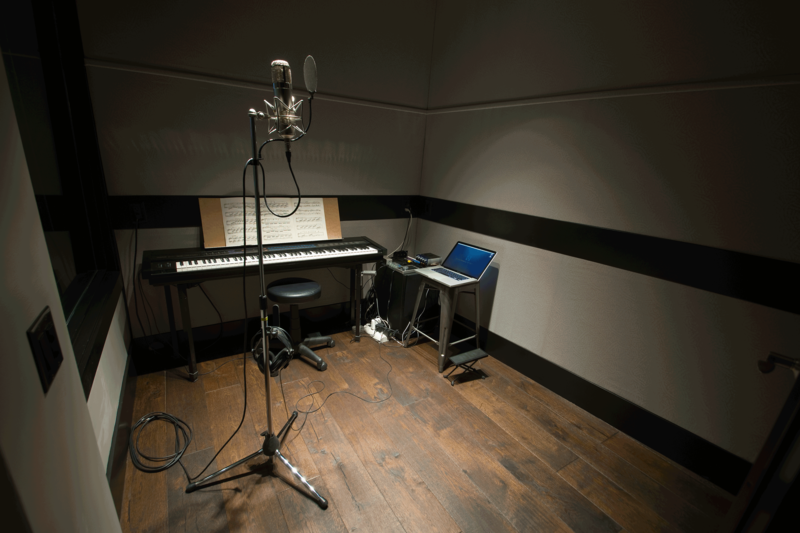 To achieve a functional studio with such a small footprint every inch mattered. 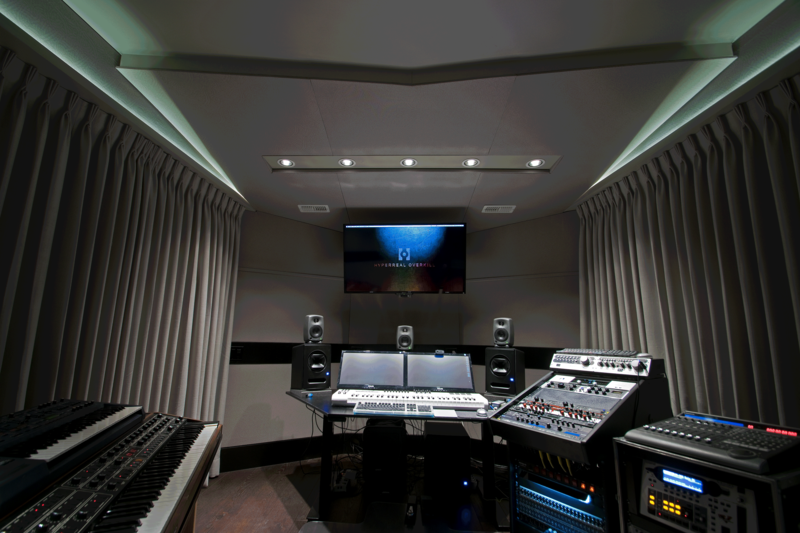 Space was saved by creating an in-wall cabinet designed to act as a machine room which would be located in the control room itself. 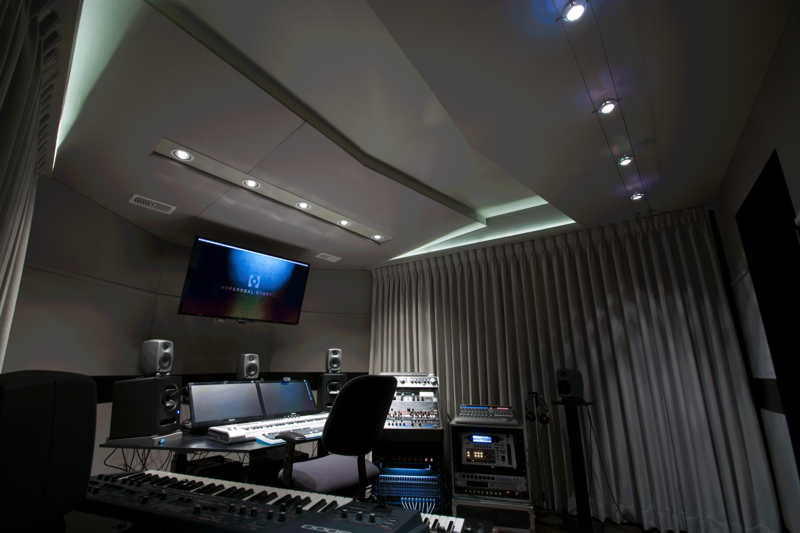 A suspended acoustic ceiling, acoustic damping and diaphragmatic absorbers were utilized to prevent uneven frequency build-up especially in the lower frequencies. 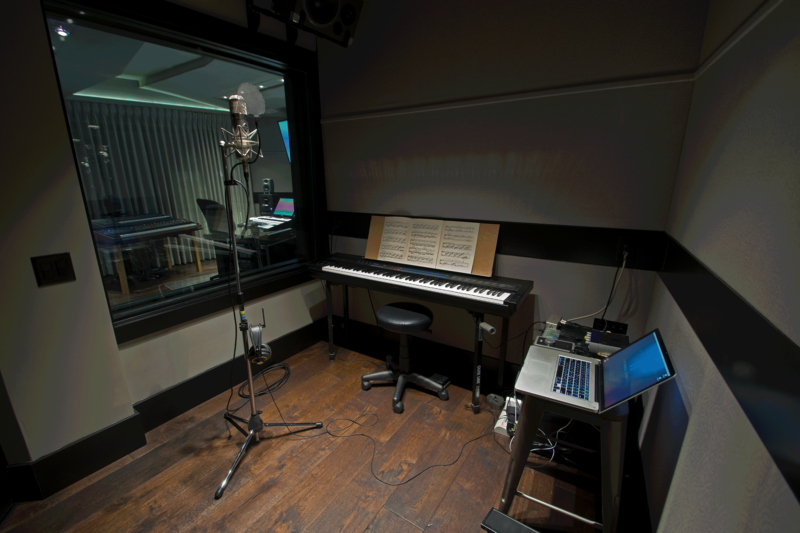 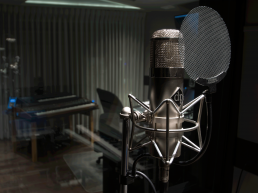 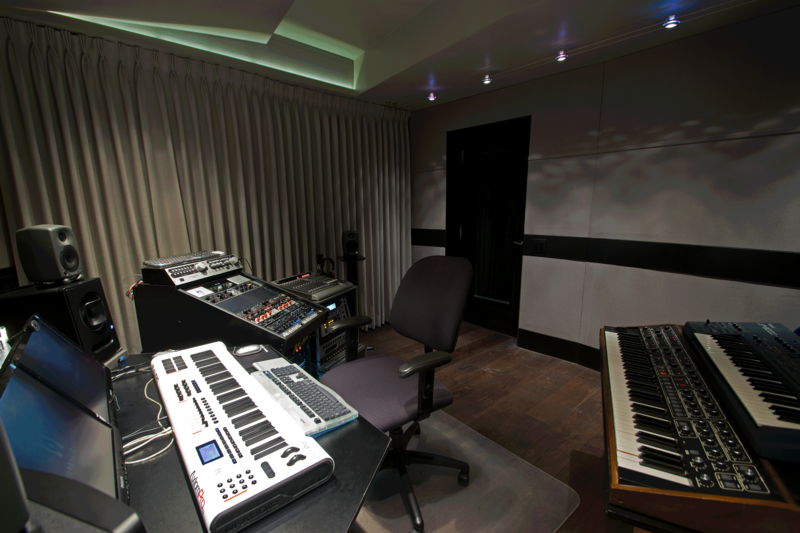 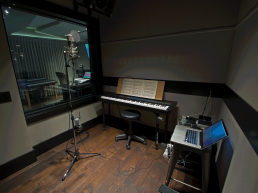 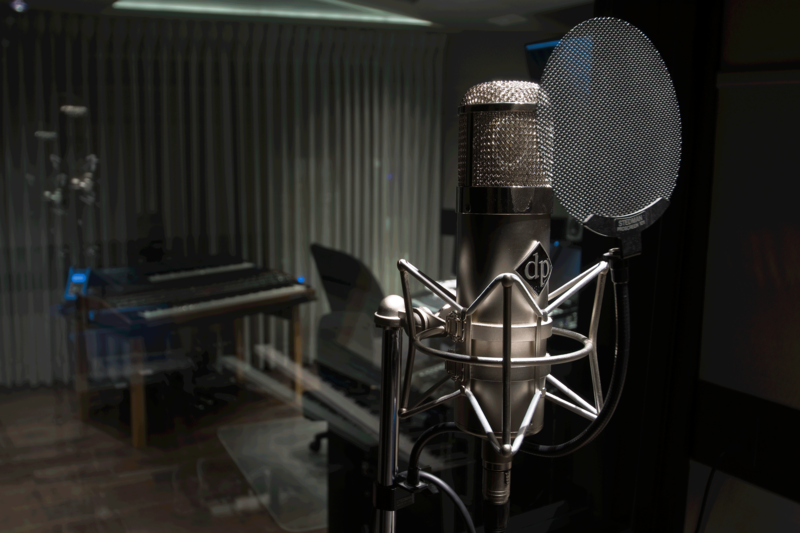 A window shared between the control room and live room offer a clear site line between the engineer and artist.